This article looks at the different ways you can get elite status with hotel chains via UK credit and charge cards. If you are just getting started with miles and points, you have probably realised by now that your travel life could be improved if you had airline or hotel elite status. If you want fast-track airline status, you’re out of luck. There are no credit cards or other schemes which offer instant airline status. Your best option if you want British Airways Silver status, which gets you lounge access and free seat selection at the time of booking, is to book yourself a Qatar Airways business class flight to Asia in their next sale. If you start your trip in mainland Europe, you should be able to pick up a return flight to Asia for £1200 or less in a Qatar Airways sale. You will earn 560 tier points which is almost the full 600 needed for British Airways Executive Club Silver status – although you still need to fly four BA segments to be promoted. And you get a great holiday out of it and you get to try the best business class product out there. Hotel elite status is a lot easier to get. It can also be more beneficial. After all, if you are flying in Business Class or First Class anyway then status doesn’t get you much on top, except for free British Airways Club World seat selection and possibly a better choice of lounges. Hotel status can get you an upgrade to a room you would never consider booking for cash. It can also be valuable – getting free breakfast for two for seven nights can represent a chunky saving. How can you get free hotel elite status from credit and charge cards? Not all hotel statuses are equal. The benefits vary but, importantly, so does the willingness of chains to deliver them. In general, I value a benefit which is ‘guaranteed’ substantially higher than a benefit which is ‘subject to availability’ – especially as ‘subject to availability’ tends to mean ‘if we feel like it’ rather than ‘if it is physically possible’. Marriott Bonvoy gives Silver Elite status to holders of its UK Starwood credit card. This benefit is NOT advertised on the American Express website so you’ll need to trust us that it exists. The benefits of Marriott Bonvoy Silver Elite are not huge. You can see the different Marriott tier levels here. …. and that’s it, at least in terms of stuff you will find genuinely useful. It isn’t a lot but it should stop you getting the room overlooking the bins. Here’s one important point: you get Silver Elite status and not 10 elite status nights which automatically gets you Silver Elite status. There is a big difference in this, because the latter puts you 15 nights closer to Gold, Platinum or Titanium Elite. If you spend £15,000 per year on the card you will be upgraded to Gold status in Marriott Bonvoy. You can see the full list of Marriott Bonvoy Gold benefits here. The 2pm late check-out is guaranteed except at resort and conference centre hotels. This is the main benefit – the only other things offered will be an ‘enhanced’ room (in the category you booked) and 25% bonus points. If you are looking for Marriott Bonvoy Gold status, you should remember that you can also get Marriott Gold for free with American Express Platinum just for holding the card. The Starwood Preferred Guest American Express card has a representative APR of 41.7% variable including fee based on a notional £1200 credit limit. The free IHG Rewards Club Mastercard gives you Gold status in IHG Rewards Club, the Holiday Inn / Crowne Plaza / InterContinental loyalty programme. This is not worth much, frankly, but hotels in Europe do give you a welcome drink or some points as a welcome gift. The £99 Premium version of the card gives you IHG Rewards Club Platinum status. The guaranteed benefits are slim, apart from a 50% bonus on base points, but a lot of hotels do offer decent upgrades at this level, especially from the Crowne Plaza brand. You will also receive bonus points at check-in or a free drink and snack on stays in Europe. It is worth noting that the £99 Premium card also gives you a free night – in any IHG hotel – when you spend £10,000 in your card year. This benefit repeats every year. If you would not have a problem putting £10,000 through this Mastercard then the annual £99 fee is £99 well spent if you are getting Platinum status and a free night. It is also possible to get IHG’s top-tier status, Spire Elite, via their credit card. You need to be a big spender, however. This is because the IHG Rewards Club points you earn from the credit card count towards elite status – something only IHG offers to its credit card customers. As Spire Elite requires you to earn 75,000 base points annually, you can achieve this with £75,000 of spending on the free IHG credit card (1 point per £1) or £37,500 of spending on the Premium card (2 points per £1). Unfortunately, Spire Elite status also has very little in the way of guaranteed benefits. (IHG Rewards Club is not the programme for you if guaranteed benefits are important.) Many Crowne Plaza hotels are now offering club lounge upgrades to Spire Elite members which is the key reason for having it. You can see the full benefits of Gold Elite, Platinum Elite and Spire Elite status in IHG Rewards Club on this page of the IHG website. The representative APR on the IHG Rewards Club Mastercard is 18.9% variable. The representative on the IHG Rewards Club Premium Mastercard is APR 41.5% variable including the £99 fee based on a notional £1200 credit limit. This is the most complex and most debatable card here. The Platinum card comes with a £450 annual fee. Because you can get a very generous 30,000 Membership Rewards points sign-up bonus (converts into 30,000 Avios or 30,000 Virgin Flying Club miles amongst other things) it may be worth giving the card a try to see if it works for you. Note that, if you later cancel your Platinum card and get a fee refund, you will retain the hotel status cards until they naturally expire at the end of the year. The definition of ‘year’ varies by programme – all Hilton status cards run until March, for example. The inclusion of free breakfast as a Hilton Gold benefit makes it, for most people, the most attractive mid-tier hotel status. Late check-out IS guaranteed as long as the hotel is not 100% full. You will also receive free wi-fi. There is no upgrade benefit. This could work out well for anyone planning to travel in Asia. The 4pm check-out, if ‘available’ and as long as your hotel is not on the excluded list, is handy. All you are guaranteed is the free breakfast and a welcome amenity but overall I think you could do quite well from the benefits above if your hotel was playing ball. Nothing is guaranteed – there is no free breakfast. However, in my experience, you can do well as a Radisson Rewards Gold. Whilst Gold is not technically their top tier, hotels take it more seriously than they take, say, Hilton Honors Gold. It is very easy to add a couple of hotel elite status cards to your wallet purely by applying for the right payment cards and, where necessary, putting a certain level of spend through them. The most valuable is probably the IHG Rewards Club Premium Mastercard. You are effectively paying £99 to buy yourself mid-tier Platinum status at Holiday Inn, Crowne Plaza, Hotel Indigo etc properties, as well as getting yourself a free night each year if you can spend £10,000. 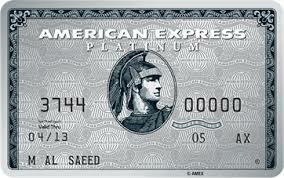 For bigger spenders, especially heavy travellers, American Express Platinum is worth a look. The generous sign-up bonus (30,000 Amex points is worth 30,000 Avios or other airline miles when transferred), airport lounge access via Priority Pass and the free hotel status cards mean that you don’t have much to lose by giving it a try. PS. Whilst it isn’t a credit card benefit, you can get Gold status in Le Club AccorHotels by signing up to the ibis Business Card for £65 (£119 for two years). Will Marriott Status Match from IHG Platinum ? has anyone tried this or know how to go about it ? I paid for Intercontinental Ambassador, and on some places of IHG’s website it shows that I am “Platinum Elite” and others it says “Platinum Ambassador”. Will IHG fully recognise my Platinum status? I know that Intercontinental don’t recognise IHG status unless you have pair for Intercontinental, but don’t know if this issue works both ways. Trying to determine whether it is worth taking out the paid version of the IHG card, or whether to continue putting all my MasterCard spend through my Virgin+ card. There will be no problem regarding this. These are essentially same things. I did the flights to get gold and they never recognized even Silver. I gave up arguing with the SQ call centre who had never heard of the link with Shangri La. Dont rely on this. Mixed luck here but all sorted in the end – I got the silver status very easily after getting SL Jade and filling in the online GC form to link up my SQ account. My wife with a supplementary plat got caught in their IT and it took several calls and manual intervention to sort it out. We both had a silver SK card in the post shortly afterwards. Took 2 flights and received extra miles for status bonus. Unfortunately couldn’t get a third in so no experience getting gold! I took the 3 flights in January. My girlfriend got upgraded to gold instantly but krisflyer have told me my account may take up to 8 weeks to upgrade. This seems pretty standard if you read the flyertalk thread. I would contact krisflyer using the online form rather than the call centre if you have any issues regarding this as they seek more knowledgeable. Sort of OT: Amex Plat Medical Insurance. My wife is having a minor op a couple of weeks before travel soon, for a condition (hernia) diagnosed AFTER she applied for and received her Amex Plat card. Is she covered or is this pre-existing? It’s the last bit that confuses me, and seems different to other travel insurances. I personally would consider this as “pre-existing” as this happens before the trip. I believe the insurance would cover medical issues happening during the trip, when you are abroad. You could check with AXA then. 2) For insurance to pay for cancellation / deferral of trip? Likely if meet all requirements. Its not confusing at all – its very clear. “or prior to any Trip (whichever is the most recent)” thus your wife will have a ‘pre-existing’ condition. However its only this specific condition that will (probably) be excluded from cover. I used my IHG Platinum status (received thorough my IHG Rewards Club Premium Card) to status match to Diamond with Hilton. This was for a limited period (I think 3 months) but came with an extension of a full year if I stayed 8 times within that period. I’ve just applied for Amex Platinum charge card. Still awaiting its arrival in the post but can anyone confirm how I upgrade my existing (entry level) Hilton status to gold? Do I need to apply and if so is this done via Hilton or Amex or do Amex share data with Hilton and it happens automatically? I have a Hilton stay next week and am hoping to have the gold status by then! Slightly OT. Do reward stays count for Hilton Status Challenge? Can an Amex platinum supplementary card holder get/ apply for any of the benefits for hotel status? yes – the first (platinum) supplementary card gets all the hotel status benefits as the main card holder! Thanks for the reply. I can find where I enroll for all of them, is there a similar page for supplementary card holders? The irony si that the status shown in the article thumbnail (HH Diamond) is one you cant get through cards! I thought that too, at least none of the cards mentioned in the article. Hilton go off your status at check in in my experience. I’m traveling tomorrow with a short connection in DFW and I could miss the second flight, so today I was looking for the different insurances I have for my credit cards ( Platinum card, SPG, BA Premium and a Green Corporate card). Does anyone know which one apply? The one with I purchase the flight (Green Corporate), the best of them or all? I can’t find it anywhere and the T&Cs are not very clear… thanks! Typical advice: quote ‘Tight connections don’t count! Even if you buy/ add on specific ‘missed connection’ insurance, the insurers will give themselves some parameter to stop making it easy for you to claim, eg a typical clause might be that your incoming flight has to be over 3hrs late for you to be able to claim. If it’s within the MCT of the airport and offered by the airline then it’s not a short connection? The reality is the airline will look after you and if your incoming flight is delayed they have a duty of care. If you are on separate tickets then always allow for as much time as possible. It’s in the same booking and with the same airline (American Airlines), but the connection is just 48 minutos in DFW and I need to change from terminal C to terminal B, so a small delay would make me loose my following flight. I know the airline would put me in the next flight, but it would be the next day, so for that reason I was asking if I could try to get the insurance benefits (to have a better dinner for example) from any of the credit cards, or just from the one used to pay for the ticket. What’s annoying is apart from the useless ihg status you can’t get top tier on Hilton or Marriott from credit cards like you can in the US. Their amex $450 cards offer either instant Hilton diamond, or the Marriott one gives platinum after $75k spend but also gives credit of 15 (?) elite nights towards the 50 night threshold. Are there any points (BA or Amex etc. )that can convert to Golden Circle (Shangri-la)?